If you are interested in getting financial grant assistance to help you do business online then then you need to book a place at the information morning being held in Dungarvan on Thursday the 26th of June. As part of the National Digital Strategy the Local Enterprise Office are hosting a Digital Voucher Information morning in Dungarvan Enterprise Centre, from 8am to 1pm (free of charge). The Digital voucher process is competitive and there are €62,500 worth of vouchers available in Waterford for this Pilot phase. In order to be eligible to apply for a voucher, you need to book a place on the Digital Voucher Information Morning in Dungarvan, Waterford. Places are limited to 50 so book now. With this in mind, The National Digital Strategy aims to get a further 2,000 businesses trading online by the end of 2015. The Department of Communications, Energy & Natural Resources (DCENR) has launched an Online Trading Voucher Programme and has teamed up with the Local Enterprise Offices to deliver this to Irish business. Following a successful first pilot phase in Dublin City, a wider pilot will now take place and businesses from Waterford can now apply. Businesses in Waterford that wish to trade online or uprgrade their existing online presence are encouraged to attend the information morning to learn more about the scheme and to become eligible to apply for the voucher. If you are a local business and have an eCommerce/Booking/Sales element to your web site, you need to attend this information morning. 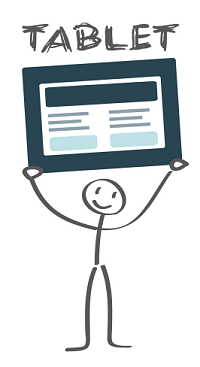 Book your place at the Digital Voucher Information Morning in Dungarvan, Waterford, today. Please share/pass on this post to anybody you know that is thinking of building a site urgently as places are limited. If you’re not in you can’t win. 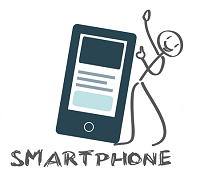 This entry was posted in eCommerce, Internet Marketing, Making Money from the Web, Social Media Marketing, Web Design, Web Development on June 20, 2014 by Cian Foley. 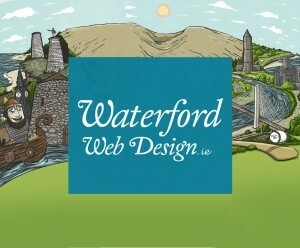 I became good friends with Waterford illustrator Lee Grace a number of years ago. We were both colleagues at Marla.ie and we got on like a house of fire from the get go. It could have been our mutual love for Waterford, or maybe it was Arnie movies, but I guess it could have been our bizzare shared appreciation of Stan Bush’s music from the 1980s Transformers the Movie sound track that really cemented our friendship. I mean the fact that someone else knew songs like Dare, and The Touch off was a real shocker for me. Lee is a fantastic and accomplished graphics illustrator having produced graphic novels, high profile logos and brands through Marla, and other amazing professional and personal work. He has undertaken some pet projects for me over the years such as the UpTheDeise.com car sticker logo, the cover for a slang book I published a number of years back entitled ‘For Focal Sake – A 32 County Guide to Irish Slang‘ and he’s done some excellent volunteer work for the 1848 Tricolour Celebrations. Next years branding will be based around his latest portrait of Thomas Francis Meagher. When he sent the background through to me a a few weeks later I could not believe my eyes. A masterpiece had been produced. He had actually captured the essence of Waterford in one illustration. Can you spot anything else??? Just wanted to say a huge thanks to Lee for illustrating this exclusive web skin for me, fantastic illustration work as always! Lee is a man on top of his game. Please visit www.leegrace.com to see more of Lee’s great work. This entry was posted in Uncategorized, Web Design on June 17, 2013 by Cian Foley. I’m making this plea on behalf of all web developers across the globe. Please, everybody, remove or upgrade versions of Internet Explorer 6, 7, 8 and 9 to version 10 or better yet, there’s loads of other lovely browsers out there now, Firefox, Chrome, Safari and a plethora of others that you can install in minutes and they all work really well and are secure because they will upgrade themselves as new standards emerge. Unfortunately, 15% of users out there are still using IE according to stats I obtained from traffic to my website slang.ie. 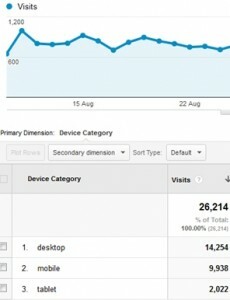 From approx 30K visits, almost 5K or them came from versions of Internet Explorer. It’s still the third most popular browser with Chrome and Safari in positions 1 and 2 respectively and Firefox and Android in 4th and 5th place. A huge shift has occurred but there are still some stalwarts out there stuck in their old ways and US POOR WEB DEVLOPERS HAVE TO PULL OUT OUR HAIR TO DEAL WITH THE FEW WHO INSIST ON USING OLD VERSIONS OF IE. The graph on the left shows a break down of the 15% of users still using IE from versions 6 to 10. 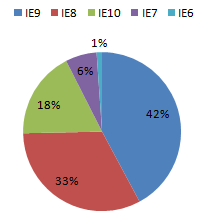 Can you believe that 1% of IE users still use IE6? Do these users still use dial up modems to connect to the internet too I wonder? 6% use IE7!!! guys, if you’re viewing the web with IE6 or 7 you’re missing a huge part of the experience. Nowadays pages can be animated, include media as part of the HTML 5 standard, have loads of lovely graphics and effects such as rounded corners and drop shadows, and you’re using this clunky old technology that renders boxes and things in a different way than every other browser that read the W3C Standards document. WHY? Because Microsoft’s Internet Explorer team were not interested in standards other than their own and they obviously enjoyed torturing independent web developers and designers like yours truly over the years. I can’t believe 33% still use IE8 and 42% use IE9. Guys… hello… firefox, chrome and other browsers don’t have different versions, they just upgrade themselves automatically… please just upgrade to the latest now or switch from it completely. For the love of god and all that is holy please do it so that our clients don’t ask us to support it any more. I’m sure some developers have contemplated self-harm after trying to get the padding of a div to work consistently across various browsers. You, the general public, can stop this madness today and protect our kind today with the click of a button. Even wordpress, the ultimate content management system has a new theme called 2012 and it works beautifully with all browsers, if you modify it though, your changes won’t be seen on versions of IE8 and previous, unless you code up a separate .css file that specifically deals with the non-standards based shenanigans that one has to endure for a small percentage of people who obviously don’t even like the internet. If this post gets 1 billion shares I’m sure many many people will update or change to a different browser, so share it using the buttons below and who knows, perhaps you’ll save some poor developer like me a lot of heart ache going forward. Even if one person upgrades as a result it will be worth it, for them. 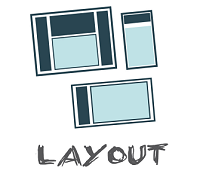 This entry was posted in Web Basics, Web Design, Web Development on May 9, 2013 by Cian Foley. Many of us WordPress users will have come up with the double Home Page problem. If you are using WordPress to create a website often you want a static home page on the site and not have it default to the latest blog entry. To do this you must log in to the admin area, go to setttings->reading and set a static page as your homepage. Often times you will want to create this page and title it ‘Home’ however on most themes if you do this you will end up with two home pages. To get around this, without editing the theme, you need to create a dummy static page that is hidden from public view. 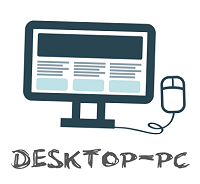 Once this static page is created you must go back and edit the newly created home page and set its parent to this new dummy page. If you want to have your blogs appear on another page, simply create another static page (with no content) and again go to settings->reading and set the posts page to this page. You must do this before you make the dummy page private, however. This entry was posted in Uncategorized, Web Basics, Web Design, Web Development on March 3, 2010 by Cian Foley.